Hello friends, today, we will be talking about how you can easily activate your payoneer mastercard card in a matter of seconds. Without going to the bank ATM and at the confort of your home using your phone or computer connected to the internet. 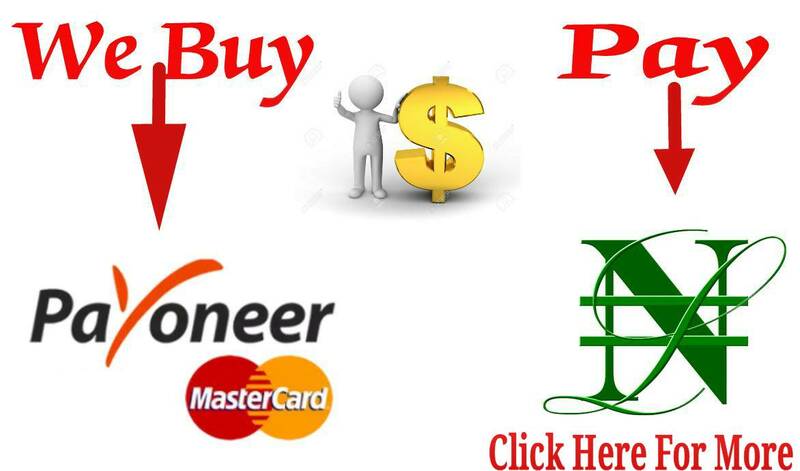 In case you don't already know, payoneer is an online currency vendor like paypal which allows those who work online abroad (in companies like Fiverr, Upwork, Amazon KDP, Google Adsense) through the internet to be able to receieve their earnings right here in Nigeria. Unlike paypal, payoneer happen to be a company that is very flexible and supports lots of other foreign countries including Nigeria. In case you are new and still to register, you can register for your free Payoneer account here. After registration, if your account is approved (takes 1 - 2 days), a Payoneer MasterCard estimated to arrive within 2 weeks will be shipped to you. Now, for those who have succesffully registered for an account, and have gotten their cards, it is required of you to activate the card before using it. Otherwise, it will not work. And your account will not be fully functional until you do so. 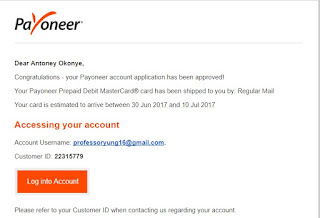 You will even notice payoneer after about 3 weeks of shipping your card will start sending you emails like the one below to activate your card. If you already received your card, you can log into your Payoneer account to activate it and start receiving payments. NOTE: If you are finding it difficult to get your card delivered or have a friend who is finding it hard to, you can either use the expedite shipping method and get your payoneer card delivered to you at your doorstep in 3 to 7 days via DHL at the cost of $40 (N14,000). Or reach us for help. ==>1. Once you get your card, login to your payoneer account here. ==>2. Make sure you select the right card with the same last four (4) digit from the drop down menu at the top. ==>3. Click on the big red Activate button and proceed. ==>4. Now, fill the form accordingly with the required information, tick the I agree to cookies policy and hit the Activate button. NOTE: The 16 digit card number is the number visible in front of the card. Whilst the 4 digit pin is the pin that will be required if you want to withdraw money from the ATM using the card. Although we won't advise you to withdraw your money from the ATM as the bank ATM rates are usually very poor. Instead, sell to exchangers at a far better rate. 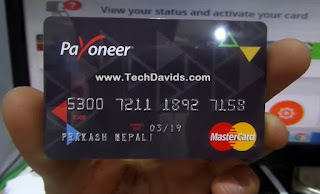 With that done, you can check out this post on the different uses of your newly activated payoneer mastercard as well as how to fund it. Have a great day. How do I use my own payoneer card to get my adsense earnings..